Would you be up to solving a mystery with your friends for your birthday? To be able to boast that you’ve survived a deadly plague? Or maybe you just love solving clues like Sherlock Holmes and John Watson or an FBI agent tracking down a security threat. You can be all these things at Escapology in Miramar Beach! Step into the escape room and travel around the world to Cuba, Budapest, or Shanghai, solve a clue hunt during WWII, or outlive a fatal plague consuming the planet! Escapology escape rooms set you up as a detective deciphering the clues present in a room. This birthday venue is open, rain or shine, and is a great activity for family or friends, allowing up to six people to play at once Head over to their website, www.escapology.com , to find the perfect scenario. You can check out a description of the escape room and even view difficulty ratings to ensure that you pick the right room for your crew to make that party extra special, as each room is created with attention to every detail to make the scenario as life-like as possible. Book online and use code ESCAPE2018 for a discount and to pick which game and time you want to attend, and then head cover for your reservation for an hour of fast-paced, critical thinking fun! You have 60 minutes. The clues are there. You just have to find them. Succeed, and your legacy will live on in the Hall of Fame. Fail, and you will not survive. Do you have what it takes to escape? Birthday parties for a group of six run $174. Use Code ESCAPE2018 for an additional discount. You can bring in your own food, drinks and cake and celebrate in the big comfy lobby adorned with Escapology memorabilia and extra-large leather couches, right here in the Market Shops of Sandestin. Call 850-842-4885 for more info. Anybody can blow out candles, but what few can say they can chuck sharpened metal and hit a dead-eye bulls-eye? 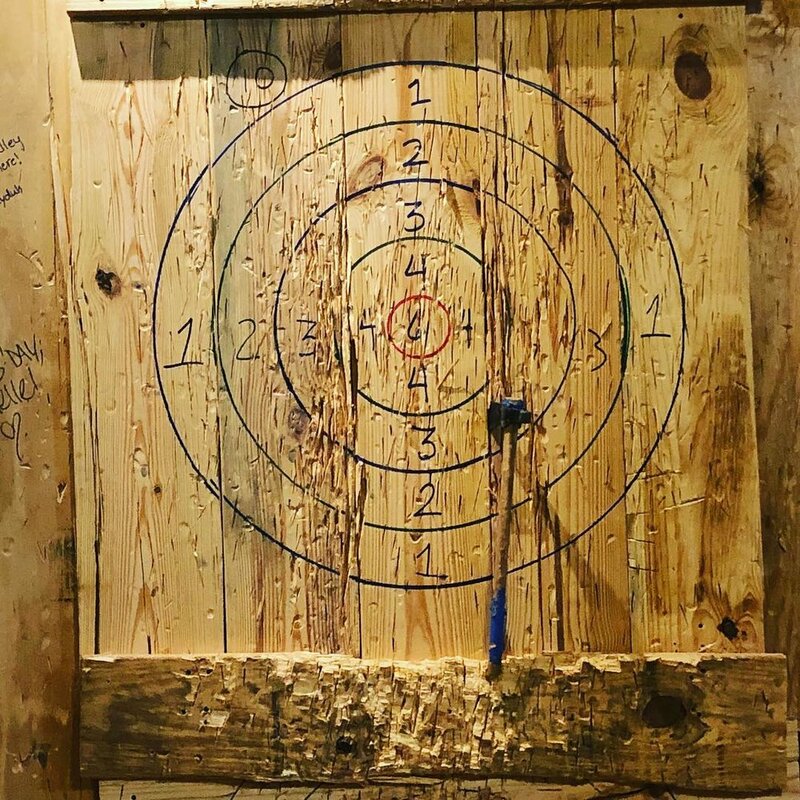 For one of our area’s most unique birthday party experiences, consider Ratchet Hatchet - the ax-throwing business that has been taking our area by storm - as your choice for something completely different this year! Now, you may be thinking that this sounds like a guy’s thing, but guess what? Their biggest repeat business is from women! So your best gal’s birthday celebration is right up their alley. With eight private ranges to choose from, you can call ahead or book online to make sure there’s plenty of room for you and your group and that you get the range you want. The Ratchet Hatchet is great for both teens (with adult supervision) and adults. And they don’t stop with birthdays! Bachelorette and bachelor parties, corporate team building and even date night with this venue is sure to be something everyone will remember. Parties for an hour for a group of eight runs $180, and for each additional person to the group add $20. Ratchet Hatchet doesn’t serve food or drinks so bring your own from any venue to provide good eats for the party. Birthdays are a time for celebration, and the goal of Big Orange House Designs is to help you CREATE wonderful memories with your family and friends through a personalized art party! Would you like to accomplish a painting? Dye a shirt or scarf? Build a super cool jellybean machine? Make some fashionable leather and pearl jewelry or even design your own glass art masterpiece? Big Orange House Designs has an amazing teaching studio called Create, with artistic experts in all these mediums ready to help you plan the perfect event for your special day. Art projects are easily adapted to any and all age groups and are fun for both children and parents alike! Create can accommodate a small group of 10 or manage a large party of 30. All the materials for your project are included and will be set up on-site so you won’t have the hassle of trying to track down supplies or purchase “one-time use” equipment. The Create studio is adorned with festive and fun lighting, metallic streamers and balloons that make the perfect backdrop for capturing great photos. Arrange to come in early to have a mini photo shoot prior to your guest’s arrival! Want your big day documented on video? An amazing videographer can create a montage of your day at Create! In addition to birthdays, Create does Girls’ Night Outs, baby and bridal showers, office parties, team bonding activities, and special projects for family reunions. The sky is the limit and the atmosphere is so open and inviting, making it a fun place to hang out and be creative. Pricing varies for parties as they are so individualized so give Ang a call at 334-320-6658 to Create your dream party. Create is located at 4652 Hwy 20E, Suite 102 in Pineapple Plaza in Niceville. Sometimes what you really need is just some time to be still. Whether that’s with a full day of pampering or taking a break next to the pool, here are a plethora of options for getting a chance to let your brain turn off for a little bit. A calm and happy environment can be exactly what you need to refresh yourself. Massage Envy offers exactly what you need to feel like a queen/king. Fort Walton Beach and Destin both have locations available for professional, affordable and convenient massages and facials. The best part is the massage therapists and estheticians will completely customize your session to fit your needs. You’ll find a variety of facial options including custom, advanced and chemical peel styles for not only your face, but your back, too. You can even book a microderm infusion session and have your skin completely resurfaced. To enhance your experience, you can add on exfoliating hand and foot massages or an anti-aging eye treatment. Massage Envy also offers an array of massage styles. From trigger point therapy to Swedish massage, deep tissue massage to sports massage, you’ll be able to get the level of attention that your muscles need to reset. When you fall in love with Massage Envy after your first experience, you can even set up a membership with them allows you a bunch of great members-only benefits like a monthly massage, additional massages at a member’s-only rate, referral benefits and discounts on certain products. Without a membership, it’s still a great deal at only $55/one-hour service. If you’re looking for serenity and peace, look no further! A day at Massage Envy is the best place to get the royal treatment! Call Fort Walton Beach at 850-301-2000 or Destin at 850-650-8500. Games, prizes and more… birthday parties are a blast at Fat Daddy’s Arcade in Destin! Enjoy more than 120 arcade games and awesome prizes in a family-friendly environment. Fat Daddy’s Arcade features something fun for all ages and skill levels. Birthday party guests will enjoy interactive arcade games like The Walking Dead, Jurassic Park, Pac-Man Smash Line, Fruit Ninja, Jumping Jackpot, Big Buck Hunter Open Season, Terminator Salvation and The Fast and The Furious, to name a few. Guests can also test their skills and press their luck with coin pusher games, prize claws, Monster Drop Chaos, Barber Cut, The Wizard of Oz, DC Super Heroes, Deal or No Deal, and many more. More traditional arcade enthusiasts also enjoy Skee Ball, Hoops, the big wheel and more. Many of the games include the opportunity to collect points. Be sure to redeem your points at the arcade redemption counter for great prizes like candy, bracelets, Nerf toys, large stuffed animals, Yeti coolers, game consoles and more. Fat Daddy’s Arcade features seating for 26 guests. The space is large enough to accommodate one large group or two smaller parties at the same time. Parents are welcome to bring in all food, birthday cakes, non-alcoholic drinks and decorations to set the theme for the grand event. If you have a small party, no problem! There is no minimum number of children to reserve a party table. Party tables are available for free during a two-hour period at 10 a.m., 1:00 p.m., and 4:00 p.m. The only cost to reserve a party table is to spend a minimum of $100 on game cards. The game cards will be available at a special birthday party discount of 25%. Please note that no additional offers or promotions can be applied to birthday parties. As a special birthday bonus, the birthday child receives 500 FREE tickets on his or her play card! Get the party started by calling (850) 424-6021 to make a reservation. Visit www.fatdaddysarcade.com for more details. Go-karts, mini golf, blaster boats, kiddie rides and more… birthday parties are a dream at The Track in Destin! Featuring five go-kart tracks, two miniature golf courses, blaster boats, bumper cars, carousel, jungle jumper, spin tops, Ferris wheel, planes, beach cruisers, swings andan arcade to top it all off, The Track provides fun for the whole family andkids of every age. The birthday party room at The Track is located by the mini golf courses. This special room features tables and chairs, including a fun racing chair for the birthday child. Parents are welcome to bring decorations, table coverings, sweet treats, non-alcoholic beverages, and more. The party room accommodates parties that range in size from six to 18 children. Paper plates and napkins are provided. Birthday parties are available on Saturdays and Sundays at 11:30 a.m., 1:15 p.m., and 3:00 p.m. Reservations are for one hour and 15 minutes in the party room for pizza, cake and presents. After the party room time, kids receive their armbands to go enjoy the rides. The Kids Country Armband Package is ideal for the youngest guests under 4’2” tall. At $14 per guest, the package includes a total of 10 rides on any of the following: The Carousel, Jungle Jumper, Beach Cruisers, Kiddie Karts, Planes, Swings and Spin Tops. Guests may also enjoy 18 holes of mini golf, one slice of pizza, ice cream and a soft drink. The Family Track Armband Package is ideal for guests 4’2” and taller. At $16 per guest, the package includes a total of 10 rides on any of the following: Family Track, Rookie Track, Blaster Boats and Bumper Cars. Guests may also enjoy 18 holes of mini golf, 1 slice of pizza, ice cream and a soft drink. Call 850-654-4688 to book. Did you know you can celebrate your birthday under the sea!? 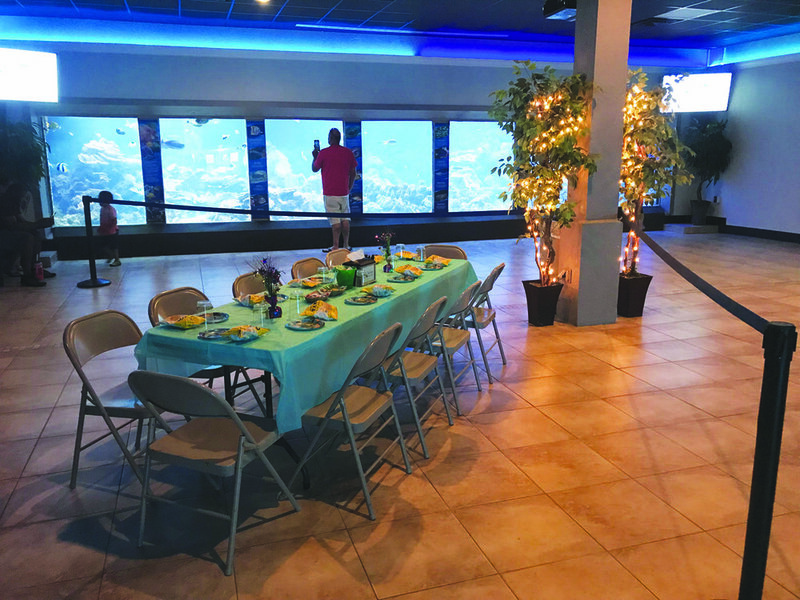 Gulfarium Marine Adventure Park has brought fun and learning to the Emerald Coast for over sixty years, and now you can celebrate your birthday with the fishes! The Gulfarium’s birthday party package has everything you’ll need, the cake, tables, chairs, plates, napkins, cups, tablecloths, a goody bag for each child, lunch, and time for opening gifts. Decisions, decisions, would you rather the dolphin mascot or the sea turtle mascot make a special visit? It’s up to you! Don’t forget, the safety of the animals and the environment is Gulfarium’s top priority. Balloons, single-use plastic straws, and piñatas are not permitted, and reservations are required. Give your child a birthday they’ll never forget, at the Gulfarium! In addition to celebrating your birthday at the Gulfarium, enjoy the park all day long! Gulfarium provides exciting opportunities to see marine life up close, hosts daily dolphin shows and sea lion shows, educational chats, and hands on animal encounters. Gulfarium is dedicated to educating, entertaining, and inspiring guests to respect and preserve wildlife by providing unique and memorable experiences for visitors of all ages to connect with marine life. There is no better place to celebrate your birthday than at the Gulfarium! After all, who wouldn’t want to enjoy ice cream cake alongside a blacktip reef shark, sea horses, chocolate chip sea stars, or all of “Nemo” and “Dory’s” friends?! To learn more, visit https://www.gulfarium.com/birthday_party. The Gulfarium is located on Okaloosa Island and can be reached at 850-243-9046. If you have little ones, you know there is nothing more exciting to them than running, jumping, bouncing and climbing! So what better place to have your child’s birthday party than at Jump'in Jacks, where in the summer months you can keep cool and in the winter months you can stay warm, all the while not having to stress about possible rain at your outdoor party. And this place is kids’ heaven, and every member of the birthday party is sure to have a great time. Their facility is 5000 sq ft with an open floor plan so parents can relax and enjoy watching their kiddos play at all times without having to chase them around. Their facility doors are all alarmed and the staff is CPR-certified. Jump'in Jacks, offers a designated baby and toddler area with its own bouncer and is gated for safety. No bigger kids allowed in this area. It is right next to the party area so you can visit with friends and family and still see your wee one is safe. Don’t worry, the older kids are covered too, with two obstacle courses, a double slide bouncer, free arcade, rock climb room, X-Box gaming area for gamers and more! And did we mention clean...yes, this place is clean! To make things super easy and stress-free for parents, Jump'in Jacks birthday parties come fully equipped! They can pick up or have your pizza delivered for you from Pizza Hut conveniently located inthe same plaza, so it will ready at the time of your party. Jump'in Jacks can also have your child’s favorite haracter theme ready and waiting at the table. They really do it all! Tableware, themed decor, balloons, beverages and clean it all up for you! Just bring your cake and they got the rest. At Jump’in Jacks, they want you to feel at home. They don’t want to “industrialize” your birthday party and make you feel rushed. They want you to watch your children playing and enjoying their friends and family. They want you to have those great pictures captured on your phone without having to worry about if you got enough good pics because of the chaos. They want to give you peace of mind and know they will take care of it all for you. Birthday party packages start at $220 from 1-10 guests and you only pay for the amount of people showing up! All party packages include two full hours of fun, themed decor, balloons, beverages, tableware, party helper and cleanup! Don’t worry about birthday parties running into birthday parties -there’s more than enough time after your special event before the next party rolls in. Only two birthday parties are allowed at the same time and there’s plenty of room for everyone! Jump'in Jacks is located at 1041 John Sims Parkway in Niceville or call 850-424-7204. The Redbird Art Experience is a fun and unique art studio where birthday boys and girls and their guests can express their creativity and imagination using recycled materials to create art. These birthday parties are one-of-a-kind. Come on in and they’ll get you started making your own art piece you will treasure forever! Let them eat cake, ice cream and food of your choice, and bring in your own decorations and party favors. There is plenty of room for everyone to celebrate once the art is done. The Redbird Art Experience is here for you and your family to make art together in a friendly atmosphere. And, they do all the clean-up! Prices start at $150 for a party of six. At Redbird, they celebrate all sorts of events - birthday parties, moms’ nights out, bachelorette parties, military spouses’ parties, and many more. You don't have to be an artist to enjoy what Redbird has to offer. So call 850-865-7943 to schedule your birthday party at Redbird Art Experience today! Located in Destin behind Target. With locations in both Destin and Crestview, U.S. Gold Gymnastics might be the perfect place to fulfill your kid’s wishes. This spacious venue offers obstacle courses, trampolines and fun fitness for kids! The awesome staff will set up and clean up for you, so you get to just sit back and relax! U.S. Gold provides souvenir cups for the guests, a free t-shirt for the guest of honor and free helium for balloons. You can even decorate if you want to! They offer a Silver Party that gives you an hour and a half for gym and food/gifts for up to 20 children for only $200-$225 (deeper discounts for members). For more time and more guests, you can book a Gold Party to get two hours for up to 30 kids for just $275-$300 (deeper discounts members). Parties are available on Saturdays only for children under the age of 10. For more info, contact the Destin location at 850-654-3124 or the Crestview gym at 850-306-3298. Is someone special having a birthday? Emerald City Gymnastics puts the “happy” in your child’s birthday! They provide the fun, entertainment and help serve cake, too! Their parties are filled with gymnastics-type obstacle courses, parachutes and tons of games! Emerald City offers two different types of party packages. The King/Queen party is $250 for up to 15 guests including your special birthday person. Provided are the invitations with a liability form for each guest, two coaches, a ¼ sheet cake with gymnastics colors (purple and teal), ice cream and drinks. They supply all paper goods in gym colors and a helium balloon for every guest, and parents provide the goody bags. (You may request a specialty party with your choice of themed paper goods and colors for an additional $25.) Coaches set up, entertain and clean up. But of course, parental help or involvement would not be turned away! There is also a smaller package, the Princess/Prince, which is $200 for up to 15 guests including your special birthday person. Emerald City provides the invitations and liability forms, two coaches, table,chairs and fun! They also help parents set up their decorations, entertain and clean up. The difference is parents provide the paper goods and refreshments. Parties are held on Saturdays; call (850) 863-3991 for specific party times. The first hour of each party involves gymnastics activity in the gym facility, and the last half hour we all wash up and gather at the table for cake, ice cream and presents. After the opening of presents and the “thank-yous” have been distributed, everyone puts on their shoes and goes home with a big smile and a great memory! Please visit http://www.emeraldcitygymnastics.com/ and click on Birthdays to get all the details about contracts and deposits. Come burn off some birthday energy and have tons of fun, too! Birthdays are great at Fort SK8! Home of the original GLOW parties, they do it all! From roller skating to bounce houses and arcade, there is something for ALL ages. Are you looking for a stress-FREE party? You’ve come to the right place! They provide all the food, drinks, decorations and FUN - you just bring the cake and friends. Your personal party host will assist you from set-up to clean-up and everything in between. GLOW t-shirt for the birthday child, arcade tokens and MORE! Choose a shared Party Zone space or reserve the 3D GLOW private party room just for your party guests. Did you know you can even rent the ENTIRE BUILDING just for your party? All the party packages can be upgraded to a Character Party complete with a special guest visit from your favorite character. You can choose a Roller Skating Party, a Bounce Party or make it the ultimate party by choosing a Roll Bounce Party where your guests get to participate in both activities! The brand new over-2,000 sq ft Jump Zone makes every party the perfect party! Family-owned and operated for 42 years, Fort SK8 knows a thing or two about birthday parties. Make this birthday a party your child will never forget! Book online today at Fortsk8.com or call 850-863-1223. Thirty thousand square feet of dedicated family fun for all ages awaits you at Just Jump Trampoline Park in Panama City Beach! Whether you’re a parent looking for a safe, fun and clean place for your kids to burn some energy or you just want a new and exciting way to get active, Just Jump is an ideal location. You’ll find a tumble track, two Soc-Air courts, dodgeball, basketball, a double trapeze, a Gladiator Pit, a Ninja Course and their oh-so-popular Air Bag within the walls of this epic play zone. There’s even a Kiddie Area for jumpers ages six and under with a huge play structure, separate trampolines, a foam pit, a climbing wall, and a basketball goal! For only $15/per hour per jumper, you can have full reign of the whole place. Group discounts are offered, too! On Monday nights, family time is from 5-9pm and for just $30, a family of four can spend an hour playing and running all of that energy out. Grip socks are required and are sold on premise if you need them. This state-of-the-art facility is complete with a large open jump area, the latest technology and unique designs to captivate the attention of any visitor – even those who don’t wish to engage in the fun themselves. If you’re supervising, you can treat yourself to a bout in their massage chairs or you can watch the fun from above on the mezzanine. Not only is Just Jump a great option for the family, but it’s even better for parties. You can have the best birthday ever by letting them handle all of the details for you. They also have fantastic rates for school field trips, church groups, and group events of any size. You can book your Just Jump party online at www.justjump.com or give them a call at 850-344-5857 to book. At the Emerald Coast Science Center, we want your child to have the best birthday party on the planet! Is your child a future astronaut? Mad for science? A huge techie? We have a variety of party themes to ensure their birthday is out of this world, and that you win parent of the year for throwing them a celebration they’ll never forget! SPACE! Blast off into fun with our space-themed birthday party that includes several activities like playing with our futuristic Ozobots, making stomp rockets, various NASA activities, and more. Our Mad Scientist theme is perfect for the Einstein of the family. This package includes a spectacular visual Chem Demo showcasing feats of chemistry plus hands-on science activities like making disappearing water or slime! Dino Dig is the perfect package for any young child devoted to all things dinosaur. This includes a dinosaur egg hunt around the museum and SMALLab party games. Is your child wild about animals? Our Animal Safari package includes a Creature Feature—our live animal presentation showcasing a few of the Science Center’s amazing animals. Your child will get to learn about and safely interact with these creatures and play SMALLab games about animals or conduct an egg hunt around the museum. Want something completely cutting edge? Our SMALLab birthday package includes a completely immersive experience in our new SMALLab learning exhibit—a 15x15 foot playing field your guests interact on (think a room-sized iPad!). We have numerous games available about science, space, animals, Harry Potter, Marvel, and so much more. We can even customize lessons for you! Imagine sorting photos of your child’s life into a timeline, having them relive favorite memories, and more. Customizable lessons available for an additional fee. All packages include admission for 12 children and four adults, an activity, use of the private party room, a party host to assist with party details, party favors for each child, set up/clean up, decorations, use of fridge and microwave, paper products and drinks; we’ll take care of the big stuff so you can enjoy your child’s special day together. Packages are $200 with a $75 deposit made at the time of booking. Science Center members can book parties for just $185! Call us TODAY at 850-664-1261 to plan your party! What's All This DYW Talk? Something you should know about me: I never ever imagined myself participating in a pageant. I never grew up watching them on TV. I never went through the “cute bow and monogram” phase in elementary and middle school. I was only a cheerleader for a year in 1st grade (or 2nd… I wouldn’t even remember). Instead I played basketball on an all-guys team for years! However, I find so much joy in trying new activities and experiencing the fullness of life, so this summer I found myself smack-dab in the middle of a stage wearing a sequined dress answering a self-expression question in front of a huge audience and a panel of five judges. What can I say? There I was, eagerly competing for college scholarships with a group of girls I am so proud to call my friends. Distinguished Young Women (DYW) has been such a blessing in my life, and I am so thrilled and thankful to be the DYW representative of Okaloosa County 2018! Participating in the program brought me so close to the other young women I competed with, I learned a plethora of valuable skills, and the title has given me a platform to impact others. For any girls currently in their junior year of high school, please please get involved with DYW, not only for amazing college scholarships (to the college of your choice) but also for personal growth and friendships! Something you should know about DYW: in the words of Miss Congeniality, “Hey, hey! It is not a beauty pageant, it is a scholarship program!” DYW is a sixty-year-old leadership honorary that awards significant scholarships to college-bound girls who participate in a learning process of interview skills, public speaking, professionalism, life skills, and confidence building. (You may recognize DYW from its previous title, “Junior Miss.”) We compete in five different areas: Scholastic Achievement, Talent, Interview Skills, Public Speaking (Self-Expression), and Fitness. Another aspect about DYW that I truly enjoy is its national outreach program called Be Your Best Self (BYBS). We relay the message of the BYBS Program into our communities to spread the life-success message and how to accomplish it: Be healthy, Be ambitious, Be involved, Be responsible, and Be studious. Many girls this past year visited elementary school classes to enrich the younger minds about these great qualities, and I decided to give a speech on the BYBS Program to one of my high school classes because I know these principles are great to carry on into our young adult lives. Not surprisingly, DYW is the only one of its kind in the WHOLE country, and I would seriously recommend freeing your hands for five seconds right now so you can applaud DYW for this achievement (if you’re reading this in a doctor’s office, it’s okay if people stare). How it works: DYW is such an exciting process, and it is as simple as attending the meetings, rehearsing, and competing. When I joined DYW, I went to an introductory meeting where I met Mrs. Marion Taylor and Mrs. Mia Lawson, the directors for Okaloosa County’s DYW program. There I learned all the basics that equipped me for the months to come. Each month, we girls got together to practice interview skills and fitness, and we spent some time just getting to know each other, eating, and asking questions. One week prior to the program, we participated in DYW boot camp. THIS IS WHERE IT GETS REAL! During boot camp, we met each day to have mock interviews, learned all the choreography for the opening and closing numbers, practiced fitness till we felt like champions, and performed our talent on stage to perfect lighting and sound. DYW provided dinner and snacks, and after boot camp I felt the sister-bond from all my DYW ladies. The night of the program was so magical, thrilling, and intense. I remember the exact moment when I was announced as the winner and received the title of Distinguished Young Woman of Okaloosa County 2018 and won over $6,000 dollars in scholarship money! Truly, I am so grateful for Mrs. Marion, Mrs. Mia, Mrs. Carole (the director for the Florida DYW Program), and all our sponsors and volunteers. Something you should know about each program: We are all unique. Walton County just had their first program and selected their first DYW, Mackenzie Brundage, to represent them this year! The Walton County Program is led by Julie Stuckey who wanted to give girls in her county the same opportunities that I had in Okaloosa to compete and earn scholarship money. In fact, Ms. Julie received $3,300 for her girls from sponsors! Over the Christmas holiday, I was able to meet Ms. Julie and see Mackenzie (it had been way to long!) as we flailed beads and candy to little kiddos and others in the Destin Christmas Parade. What you can look forward to: Because both Mackenzie and I won the DYW title in our respective counties, we will be competing in the State DYW Program on February 24th alongside twenty-five other girls from different counties all over Florida. I am particularly excited to give the Jacksonville and Miami representatives a giant bear hug because we are already friends through our middle school and early high school homeschool years. BUT HERE’S THE BEST PART: For the first time in DYW history, the Florida Program will not be held in south Florida but RIGHT HERE at the Fort Walton Beach City Auditorium! This is a wonderful opportunity for us and I hope to see all of you there! What you should know about the State Program: With Mrs. Carole and Betsy, her daughter, taking over the State Program, the State Program will be permanently held in Okaloosa and will be such a great boost for the economy. This year, all the girls (selected to represent their cities and counties) and many of their families will meet Mackenzie and I on February 18th for an arrival ceremony, and the week will continue during State Week with special appearances, service projects, and showcase rehearsals. Another event that I am thrilled about is Community Night on February 20th at The Gulf. Please come and join us! After all the preparation and activities, the girls and I will compete to represent the entire state of Florida at the prestigious global Nationals in Mobile in June. Destin and Niceville each have had a state DYW in recent years (Natalie Lawson in 2014 and Mimi Taylor in 2016), which is an incredible accomplishment for our area! Before I sign off, I want to take this opportunity to thank the State Board and Committee. They are so vibrant and passionate and are working tirelessly every day to make this inaugural year in our location a complete success. In addition, I want to thank our generous sponsors: Eglin Federal Credit Union, ZT Motors, Cox Media Communications, Destin Commons, and Gulf Power. Finally, we need YOU! All the scholarship money we receive for State and Local Programs comes directly from our sponsors, so if you feel led to support us girls in our college journey through a partnership with DYW, we’ll take pride in marketing and promoting you for the next few weeks… lavishly! Just email florida@distinguishedyw.org! If you would like to support on a local level, feel free to contact okaloosa@distinguishedyw.org for the Okaloosa Program or waltonfl@distinguishedyw.org for the Walton Program. I am so eager to represent our area and am looking forward to hopefully meeting you! The State Program is going to be absolutely phenomenal and, as Betsy always says, “When the curtain closes and the lights go out, it is not the end...it is the beginning”. Subscribe to On the Coast Magazine's Free Newsletter for regular updates! Throughout her life, Skylar Capri has always been captivated by the wonder of God's creation along the Emerald Coast. 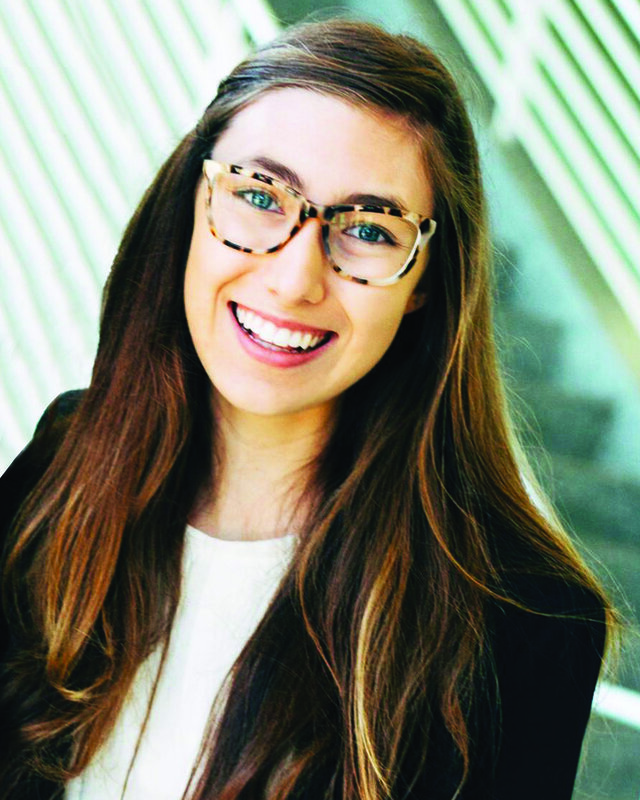 As the current Miss Okaloosa as well as the Distinguished Young Woman of Okaloosa for 2018, Skylar has a love for inspiring others and takes that role seriously. You can follow her dream pursuits on her Instagram @skylarcapri123 and YouTube (Skylar Capri) as she works diligently on her music and writing career.